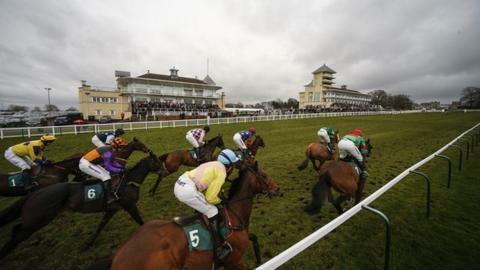 Administrators of Towcester’s racecourse and greyhound track have 25 interested parties, and want to conclude a deal in October. Towcester Racecourse Company Ltd went into administration in August, prompting the cancellation of meetings. The latest of those, their first meeting of the season on October 10, has been transferred to Southwell. Administrators KPMG say a sale may be concluded in time for the meeting planned for November 29 to take place. “There has been a strong response from the market,” said KPMG partner and joint administrator Mark Orton. The Northamptonshire course has a place in jump racing folklore after jockey AP McCoy recorded his 4,000th career win there in 2013. For the past two years it has hosted the Greyhound Derby, but more than 100 staff were made redundant when it was placed into administration.